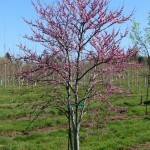 A gracefully arching small tree, that has a profusion of reddish-purple blooms in mid-spring. 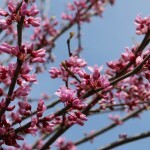 The flowers are borne on the branches and trunk, appearing before the leaves. The fall color is yellow. It will adapt to many soil types except very wet ones. It prefers a site in full sun to part shade. It is produced as both multi-stem and single trunk. 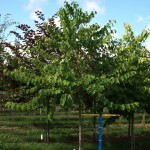 Keep the tree vigorous by regular watering and fertilization.